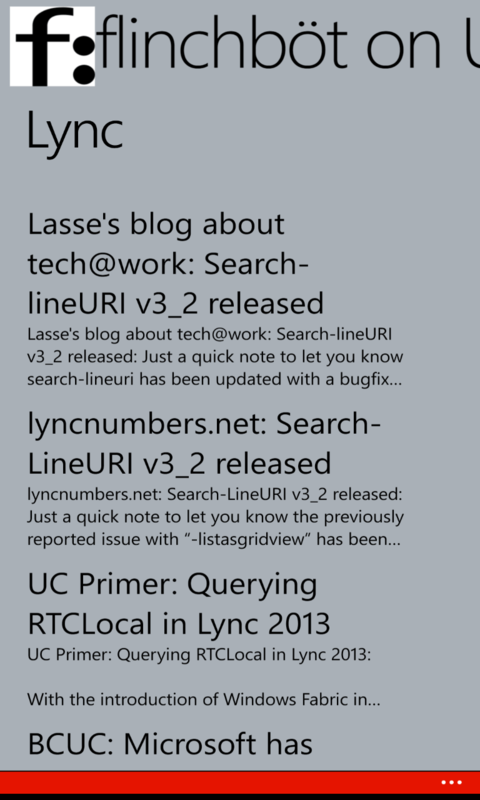 About 2 years ago I released the Lync News app for Windows Phone. Today that app has been retired and replaced with “flinchböt on UC“, an app which covers Lync as well as Exchange and has a fairly terrible name (I was in a hurry and didn’t give the name any thought.). The new app is streamlined from the previous one partially because it was done with App Studio instead of native Visual C++ and partially because the older one was a bloated mess. 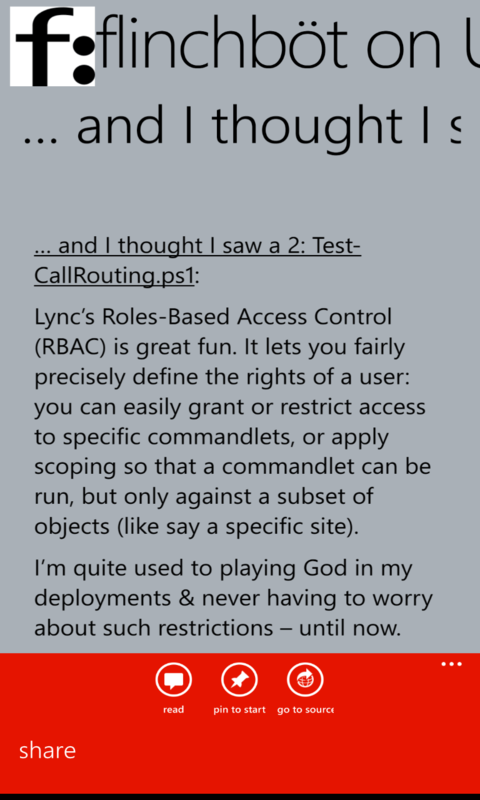 So if you have been using the Lync News app on Windows Phone, thanks – but it’s time to uninstall it! This version has way better load times for not only the app but for the Lync feed as well. 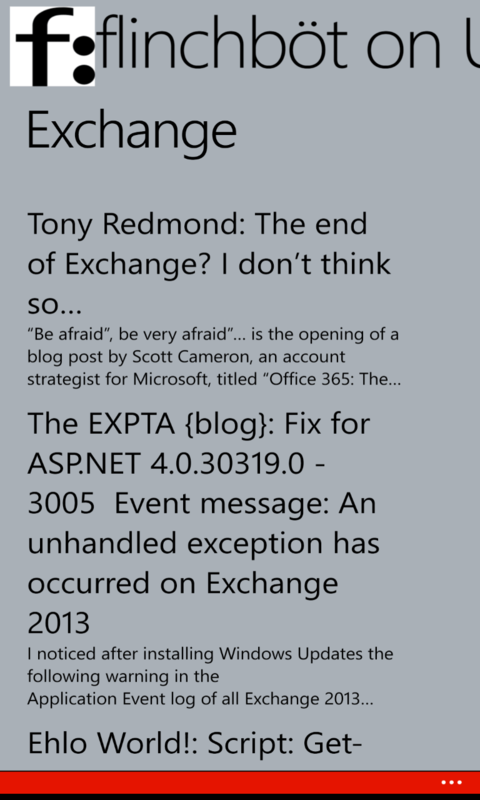 The Exchange feed is a bit laggy but since I rarely have to deal with Exchange in my job I don’t care that it’s slow. The app is fairly self explanatory. The one thing to point out is to see the full, original post click the url link at the top of a given article. Otherwise you can read it in a slightly-less readable format within the app. You can also pin an article to your start screen. If you have an article open, tpa on the menu then Share. 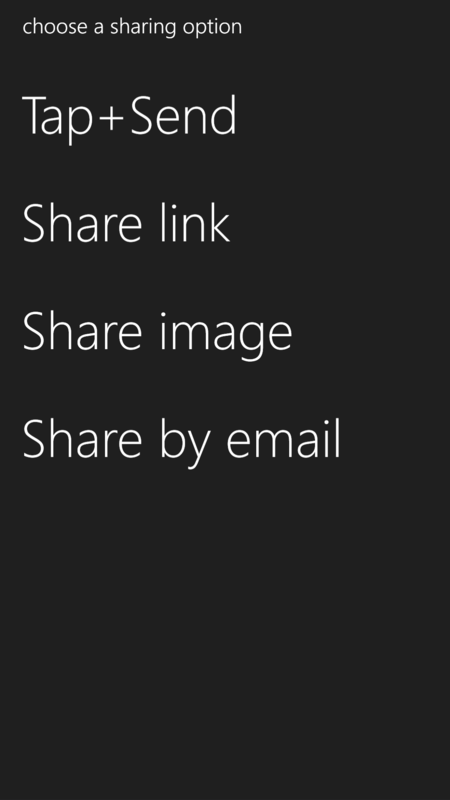 Pick “Share Link” and then you can save to OneNote which is hot. That would be a really cool way to save articles. Here is the link to download the app to your Windows 8 phone. As a reminder, there is also a similar app for Android that can be found here.